OneSignal is on its way to over 7000 developers using our service and we're always on the forefront of how to "push" our service to the next level (so to speak). When Google announced Web Push for Chrome, we were one of the first to fully support this new standard. OneSignal is the first to support Web Push for all three of the top web browsers -- Chrome, Safari and Firefox. 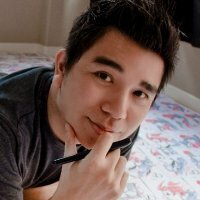 As you may or may not know, Web Push is quickly becoming the new standard for communicating with your website visitors. With much higher opt-in rates than traditional email mailing lists, Web Push Notifications appear on your desktop even if you aren't on the website. They can be easily dismissed like mobile Push Notifications and is a great new channel by which to communicate with your users. We've been listening. 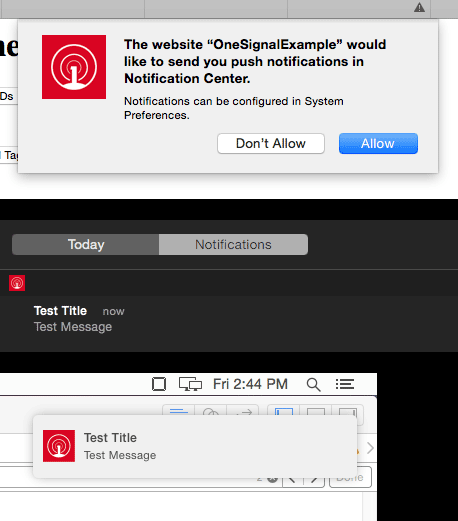 Due to overwhelming demand, OneSignal now supports Safari Web Push for MacOS desktops. We've updated our SDKs and Wordpress plugins to reflect this support and this means that now you can send Web Pushes across both Mac and PC desktops. Firefox Website Push is currently in Alpha. We're working closely with Mozilla as they add support for Web Push in their Firefox browser and expect a final version to go out before the end of the year. 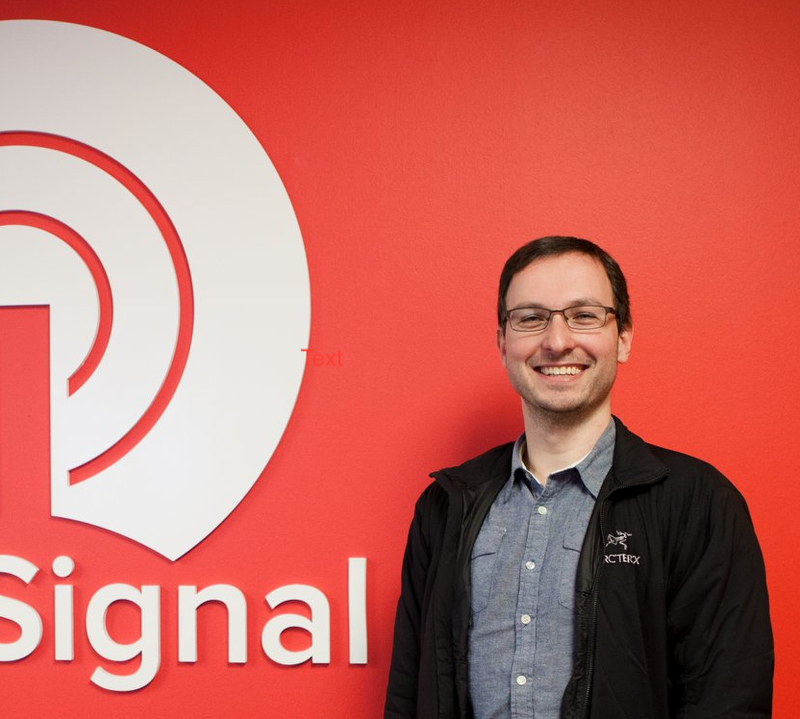 Got a OneSignal enabled app AND a website for your app? 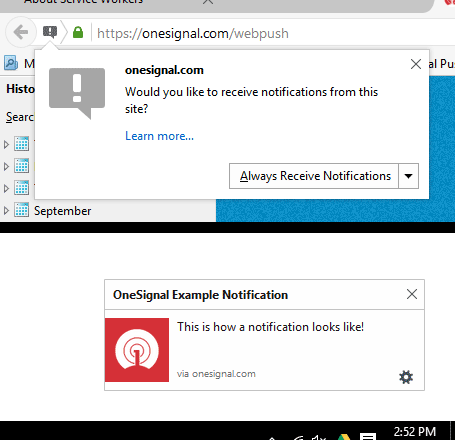 If you've got a OneSignal enabled app and a website for that app, we highly recommend that you also install OneSignal Web Push to your app website. Doing so allows you yet another channel by which to communicate with your users and help convert your site visitors into potential users of your app. To see Web Push Notifications in action, please visit our Web Push site! Meet our CEO George Deglin at Mozilla's View Source Conference 2015! View Source is a single track conference for front-end web developers with the goal to provide an in-depth, practical look at current and on-the-horizon technologies. OneSignal CEO George Deglin will be giving a talk along with other speakers at this conference sponsored by Yahoo! and Mozilla. Please come by to say hello!